Hello! 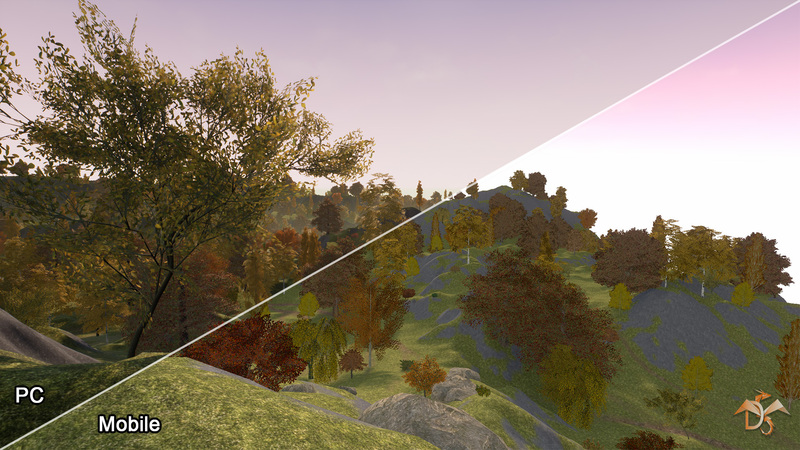 We will be happy to provide you with our overview of new content “Trees and plants for Mobile”. At the moment, the content is in the final stage of development. Here you can follow the work progress and get acquainted with the main characteristics of the project. Also we will be happy to hear your opinion. "Trees and plants for Mobile" is primarily target at mobile platforms and devices. 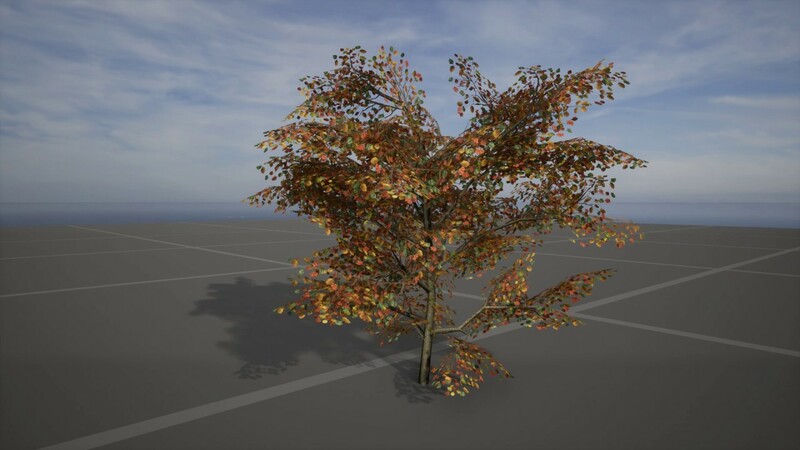 It includes 296 models of deciduous trees and other plants that will help you quickly create beautiful natural scenes on mobile devices and other platforms. Each tree has the variant of autumn, winter and summer. The peculiarity of the content is excellent optimization and simple materials. 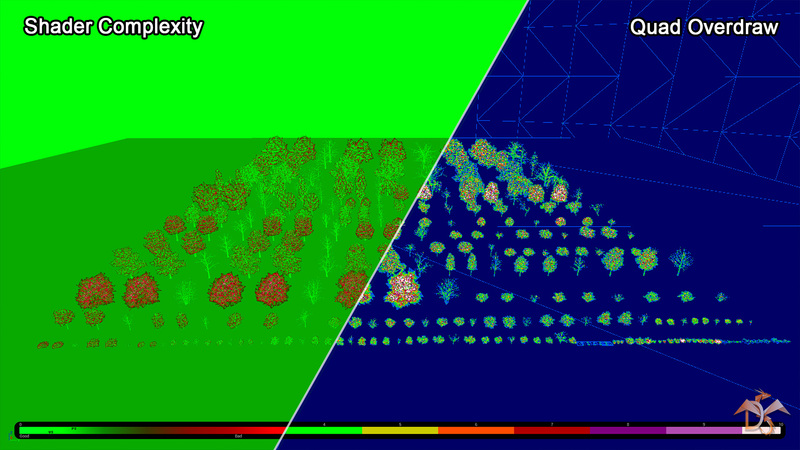 Each tree contains of no more than 2000 triangles, while save a good view. 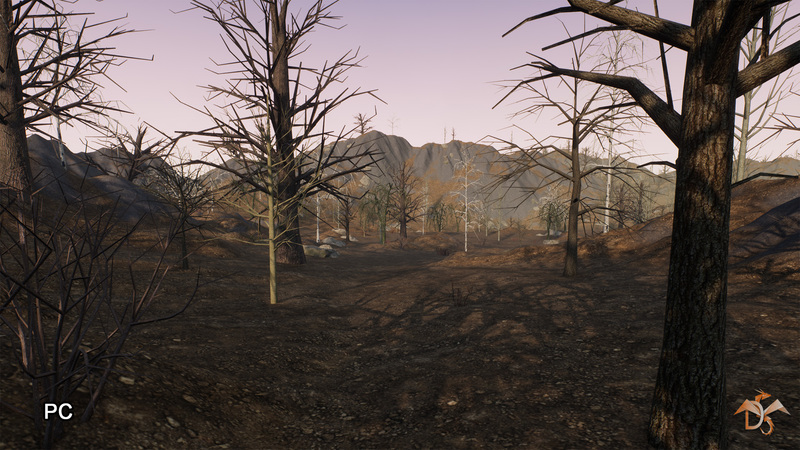 All LODs were created and corrected manually, which gives a smooth transition between LODs while saving the view. 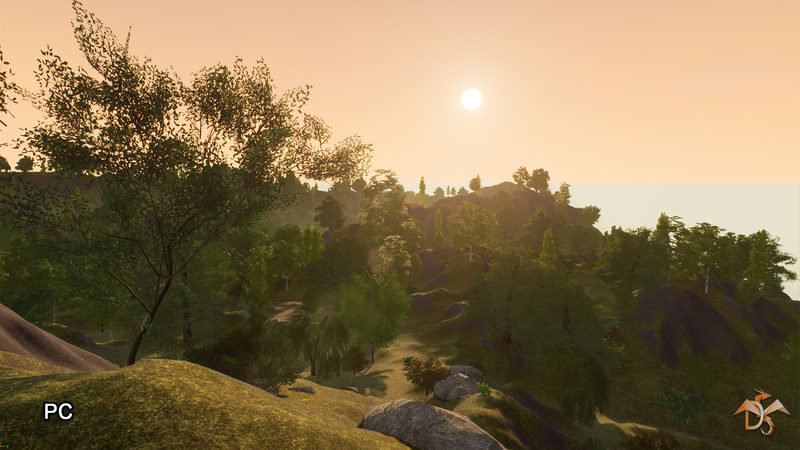 In addition, all trees have billboards, including a top view. 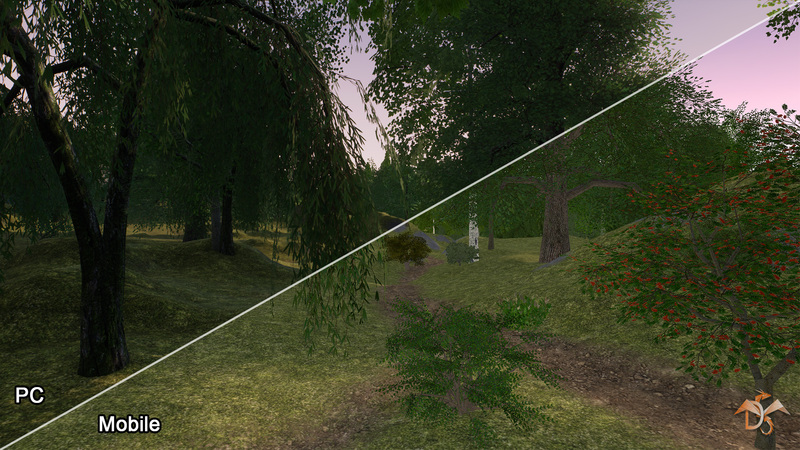 The content is fully compatible with static lighting, all models have good lightmaps (no errors). 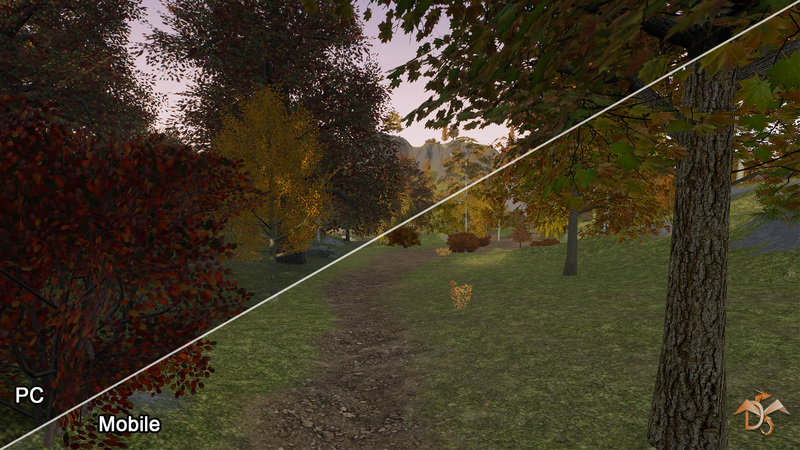 The “overdraw” effect is minimal due to the optimization of transparent areas. All textures are customized and have the optimal resolution, but you can always return the original resolution in the texture properties. There is a master instance that allows you to make changes to all materials at once, which saves you from manually switching of parameters in each instance material. All material parameters have descriptions and comments in two languages (Russian and English). The content is already configured and ready to use right from the “box”, which will save your time. Before the release, we will definitely test the content on Android devices and share with you the results. Below you can find additional and useful information about the features of the content in the form of screenshots and videos. During the development process will be appear new materials! Question: How to make dynamic lighting for billboards? You can use standard lighting for billboards, but this will increase the number of instructions in the material. 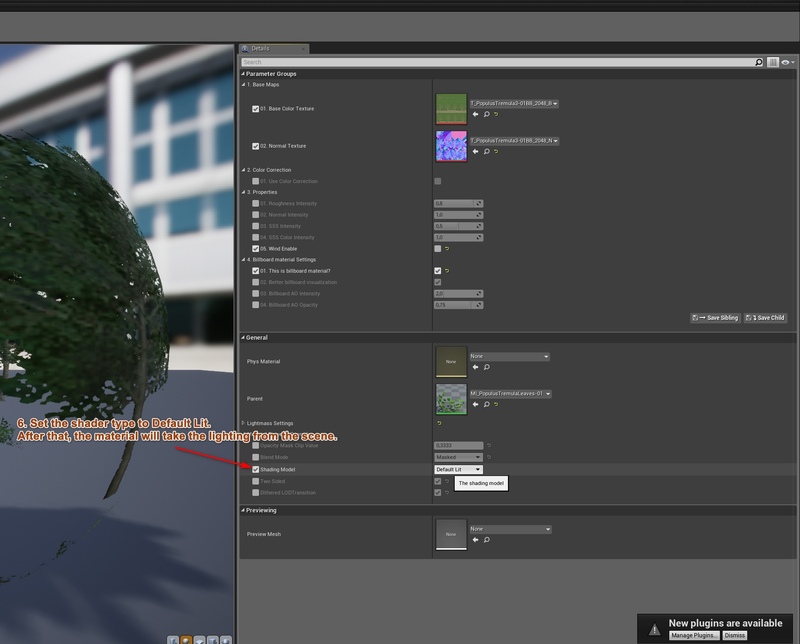 In order to use standard lighting, open the main material and make the steps that are shown in the screenshot. 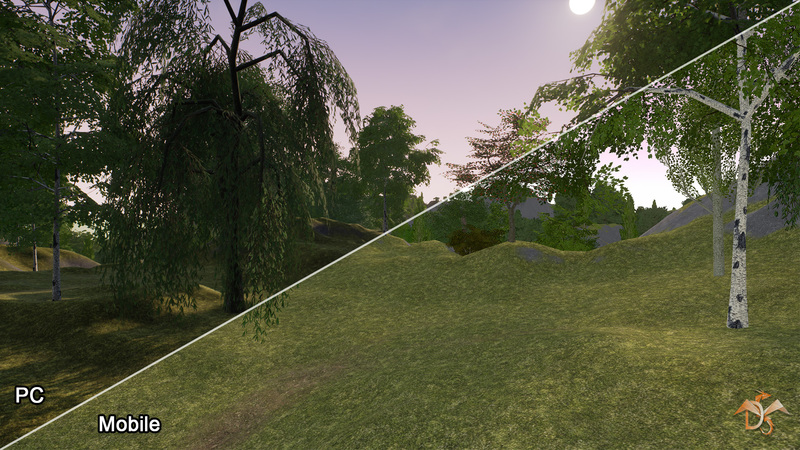 Next, in the properties of the billboard material, set the shader type to Default Lit. More in the screenshots. Possible second method without changing the material. If you know blueprints. You can also simply change the value in "BP_BillboardLighting" depending on the time of day. You will have to match the light value with the time value. To do this, you can use the time line node in blueprint. If you do not know blueprints. Use the first method that was previously described. Quality switch and Feature level switch. 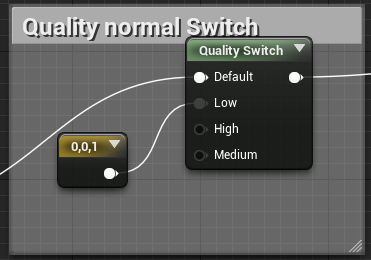 For additional optimization, the material uses the "Quality switch" and "Feature level switch" functions. Quality switch will help to optimize the material depending on the quality. On medium and low quality material, the material will be completely roughness, it will remove all reflections. Also, at the low quality of the material, Normal will be fully turned off, which will save texture samples. Feature level switch allows you to disable extra functions depending on the platform. Thus, subsurface scattering functions will be disabled on mobile devices because SSS is not supported by them. Billboard material uses Unlit shader. This gives a very low cost of performance for billboards and reduces the instructions in the material to 66. But you have to adjust the billboard lighting in the properties of the materials to match the lighting in the scene. 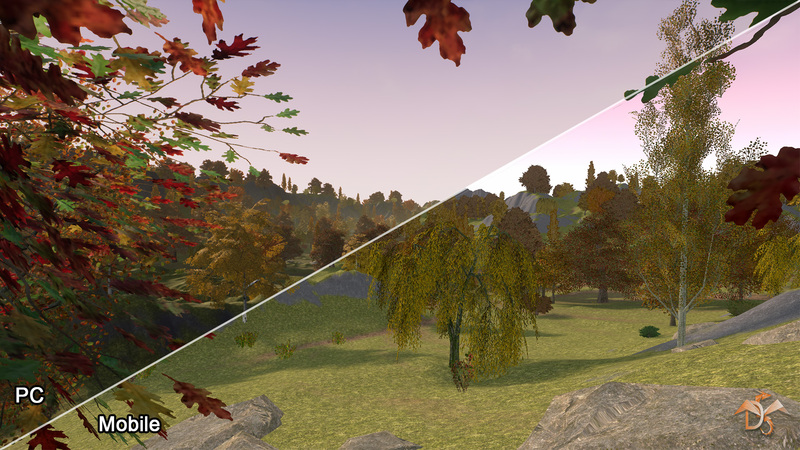 Use the "r.StaticMeshLODDistanceScale" console commands for static meshes and "foliage.LODDistanceScale" for foliage instances to quickly configure the distance of the LODs. If necessary, add console commands when you run a level in the level blueprint. Adjust the "Opacity Mask Clip Value" parameter in the main material. A lower value will reduce the cost of transparency, but may degrade the visual quality. You can turn off "Dithered LOD Transition" in the main material. Turning off will make loading LODs less smooth, but it can increase overall performance. 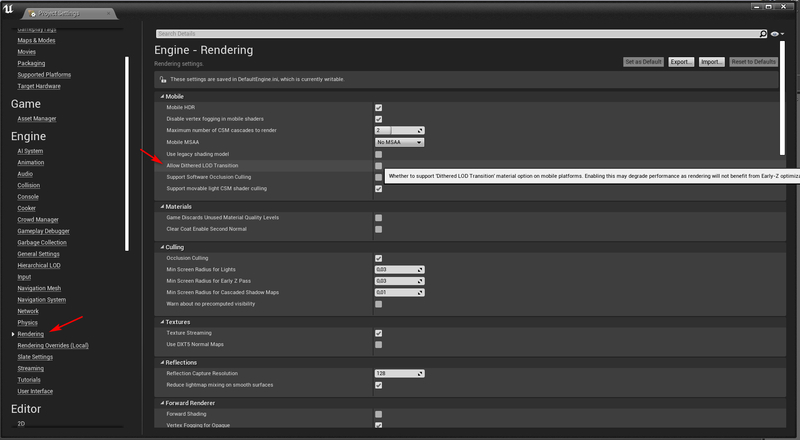 Support for this parameter for mobile devices in new versions of UE4 is switched in the project settings. AO for billboards. Improves the look of billboards and adds depth. The function "better billboard visualization". When activated, it improves the appearance of billboards, but slightly increases the number of instructions in the material. Depending on the viewing angle, it hides some elements of the billboard, this allows you to get a clean view from all sides! Comments to all parameters on two languages! CPU: Qualcomm Snapdragon 652 MSM8976, 1.8 Ghz. 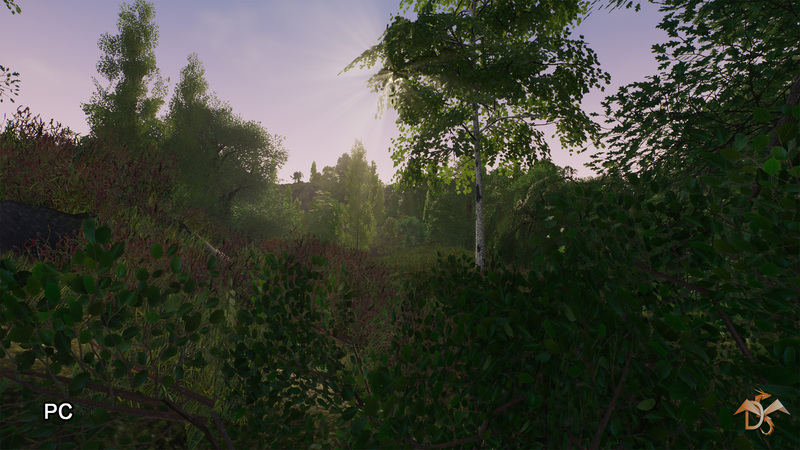 DemoPC_Level, (1x1 km) landscape, 4941 instances (Full dynamic light), Epic Quality, Unlocked fps. 180-240 FPS Average fps: 230. 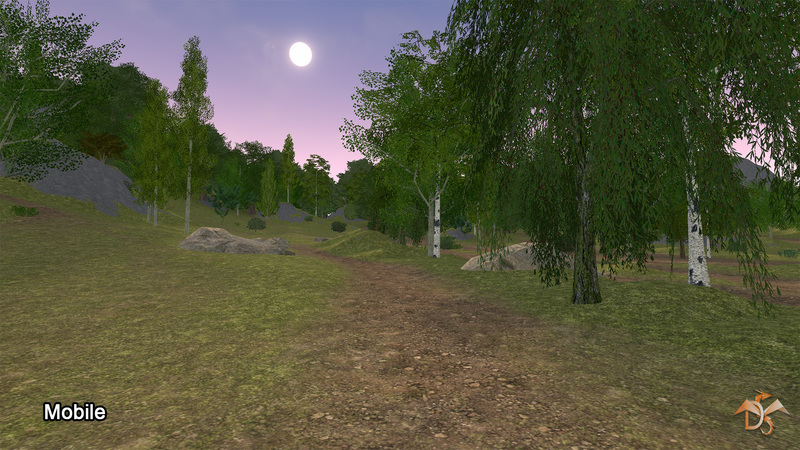 DemoMobile_Level, (1x1 km) landscape, 4941 instances (Static Light), Epic Quality, Unlocked fps. 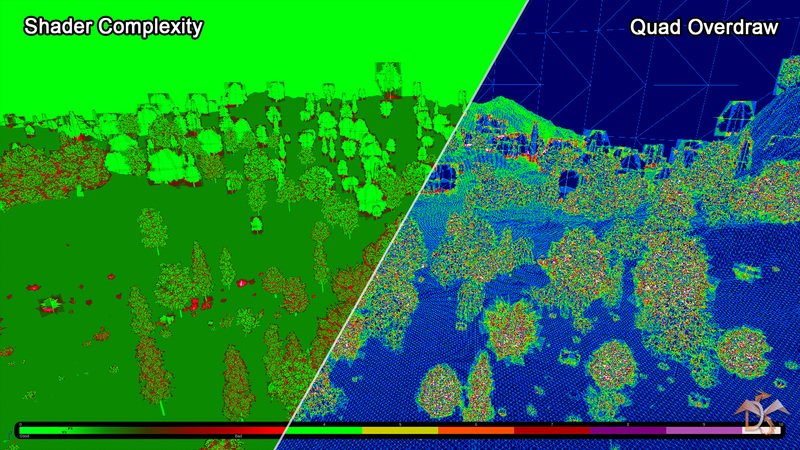 DemoMobile_Level, (1x1 km) landscape, 4941 instances (Static Light), Epic Quality, 2K resolution. 45-60 FPS Average fps: 55. 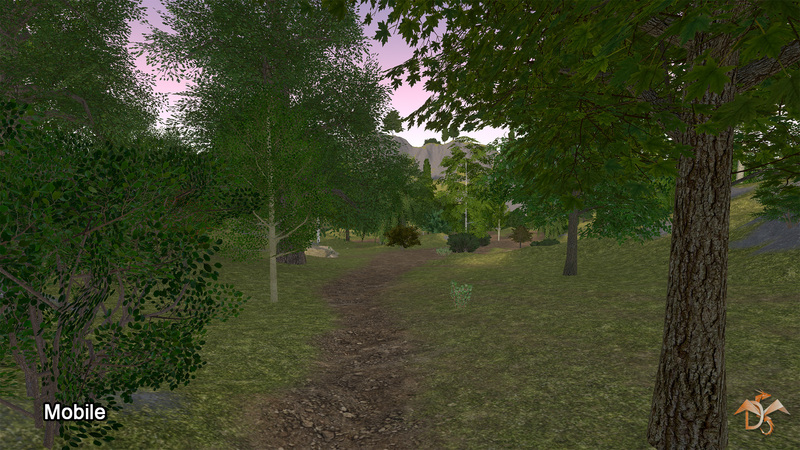 DemoMobile_Level, (1x1 km) landscape, 4941 instances (Static Light), Epic Quality, HD resolution. 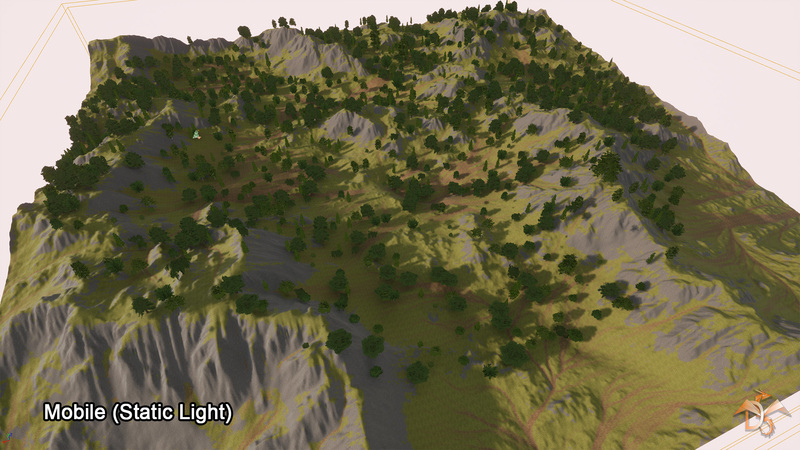 DemoMobile_Level, (512x512 m) landscape (not included in the content), 2140 instances (Static Light), Epic Quality, 2K resolution. 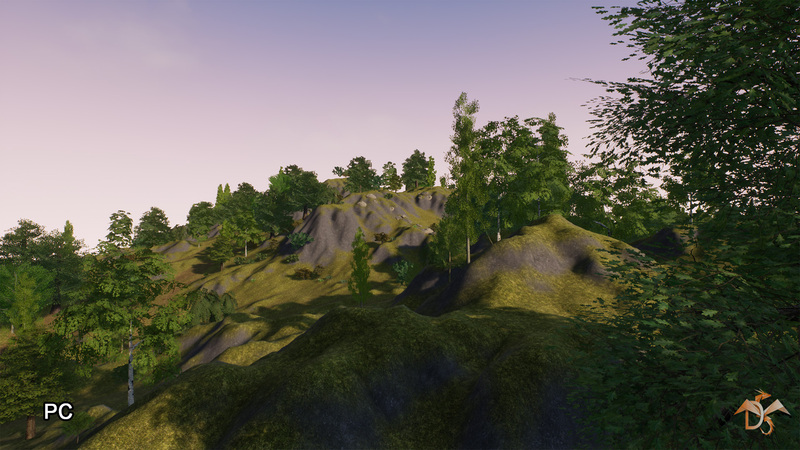 DemoMobile_Level, (512x512 m) landscape (not included in the content), 2140 instances (Static Light), Epic Quality, HD resolution. 25-35 FPS Average fps: 30. 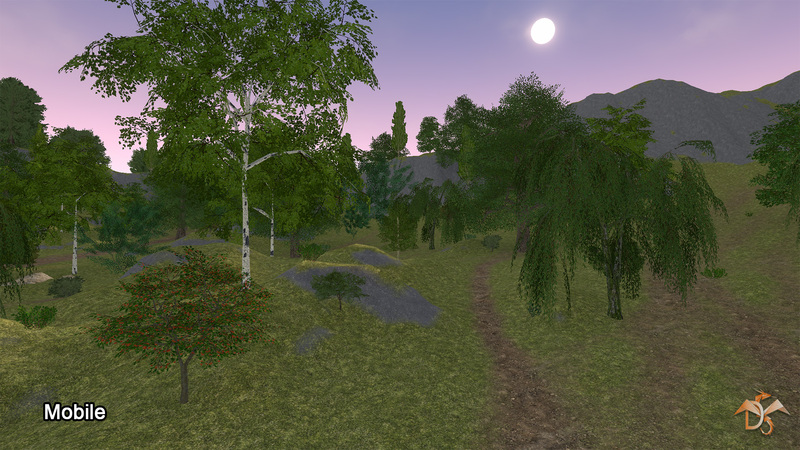 DemoMobile_Level, (512x512 m) landscape (not included in the content), 2140 instances (Static Light), Epic Quality, (nHD 640x360) resolution. 50-60 FPS Average fps: 60. Minimum requirements are specified for the landscape (512x512 meters). CPU: Qualcomm Snapdragon 820, 4 cores, 2.2GHz. Similar or higher. GPU: Adreno 530. Similar or higher. Link to the table of parameters. Here you can find out the amount of triangles of each model on each LOD. Platforms Tested: Windows 10 x64, Android Mi Mix 2S. Soon we will add more new information! Last edited by Dragon Motion; 04-18-2019, 05:43 AM. Added new information in the "Technical information" section. Now you can get acquainted with the table of parameters from which you will know the number of triangles of each model, on each LOD. Added new information to the optimization section (Quality switch and Feature level switch, Billboard materials). Also in the near future the demo scene will be ready and we will be able to share with you new screenshots and test results! I'm working on a mobile game so I'll probably have a look when it's published. 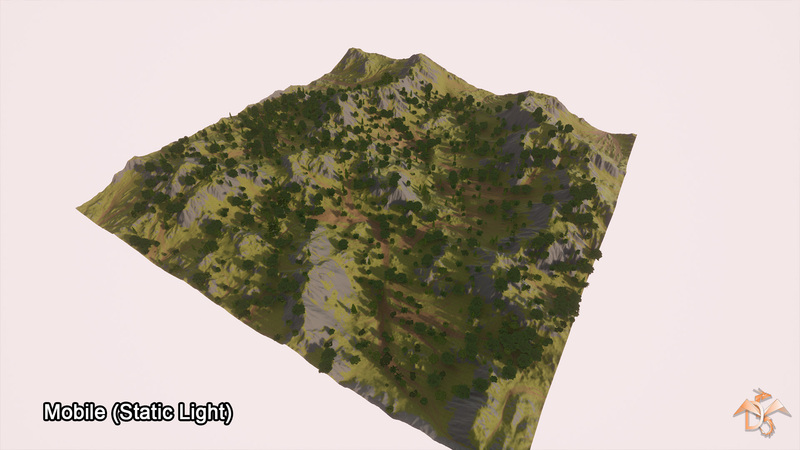 Usually there is a lot of overdraw with "mobile" trees assets with low polycounts but, judging by the shader complexity screenshots, you seem to have solved that problem quite efficiently. Do you plan to create more mobile oriented assets in the future? 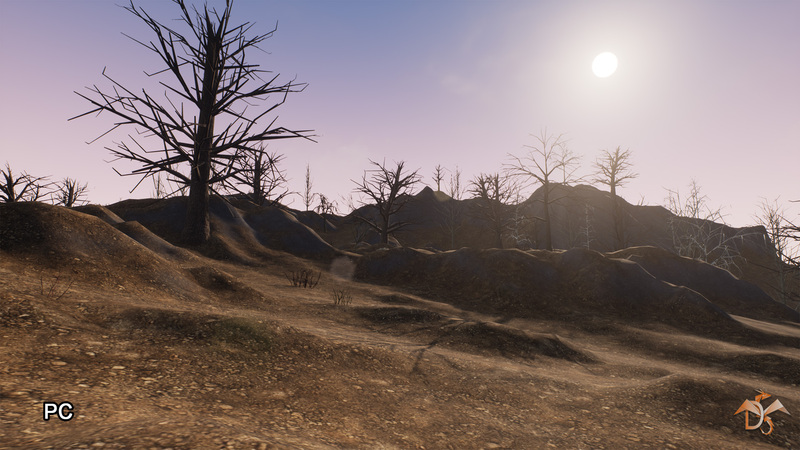 Check out the development thread and the first look video. Let me know your thoughts. Hello and thank you! Yes, we are planning to release some more content for mobile devices in the future. We will also try to give more information on current content. 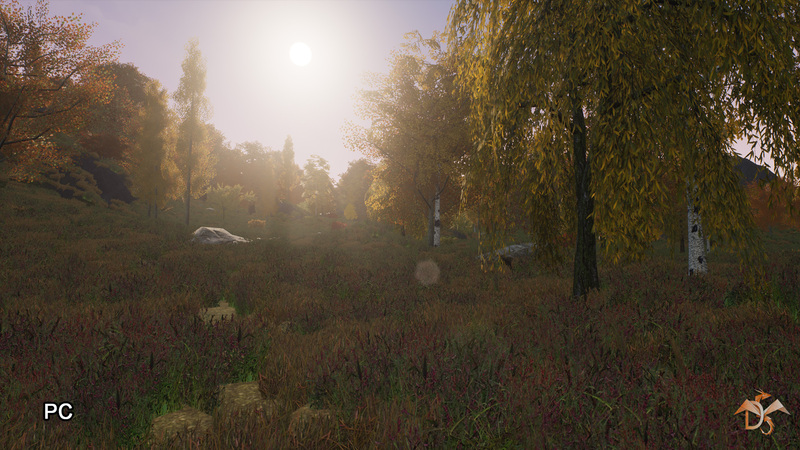 Added new screenshots section. In this section you can see some screenshots from the demo scene. 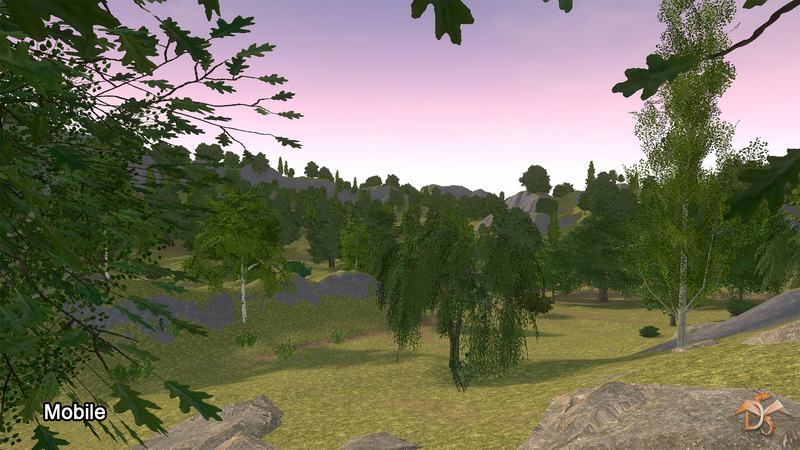 Added detailed 1 km2 (1x1 km) landscape. Content tested on mobile devices: Mi Mix 2S and Leeco Le2 x527. Test results and minimum system requirements we will publish very soon. We are also glad to announce that the content has been reviewed and approved. 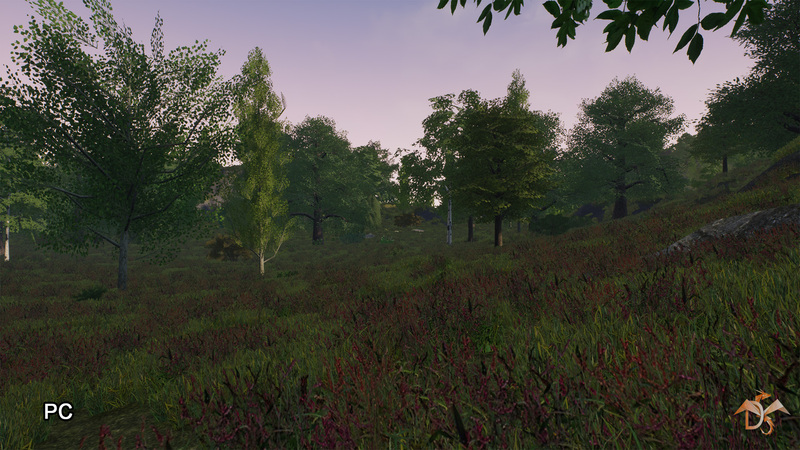 Soon the content will be published on the marketplace UE4! Added the section "Test results and minimum system requirements" in which you can see the test results! This is awesome. Will definitely purchase! 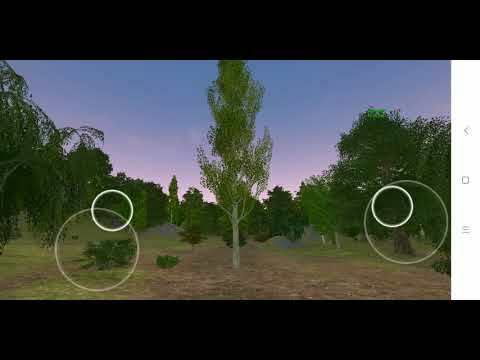 Would be great if you can post a video of it running on mobile with all of the assets, in a demo scene of some sort. Hey. Thanks! We will constantly add information, if possible we will capture video from a mobile device, and we will definitely publish it in this thread. Would be great if you can post a video of it running on mobile with all of the assets, in a demo scene of some sort. We recorded a little video. The recording was made from the device Mi Mix 2S (resolution 1280x720) , the size of the landscape 1x1 km. The picture quality can be worse because the recording was made directly from the phone + compression on youtube. Last edited by Dragon Motion; 12-21-2018, 07:22 AM. 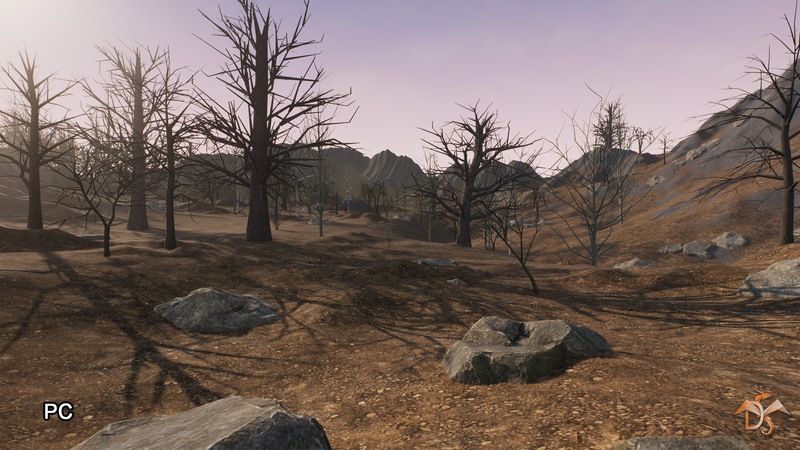 Added new section "Additional optimization, useful materials." In this section, you will find more information on improving optimization. Gradually, new information will be adding. Last edited by Dragon Motion; 02-20-2019, 07:29 AM. Very nice. Thank you. One of those things you just saved me a TON of time at a reasonable price for. And mine would probably not have been 1/2 as good either. Noticed you had talked with some people about moving it to regular billboards and such. Do you have a specific link to those directions or anything? I Will be needing some very dark nights in my game so emissives are not the best. Thank! We are glad that the content helps you to make projects better. As for billboard lighting, we will add information about this as soon as possible! i find I learn way better from store assets than videos. I can usually find something at least close to what I want. Take it apart and break it few times and it's good to go! Appreciate you making mobile assets that look this good at low performance cost. I'm not quite ready for the assets yet but, got them since there was a sell! Hopefully you will have that lighting up by time I am!